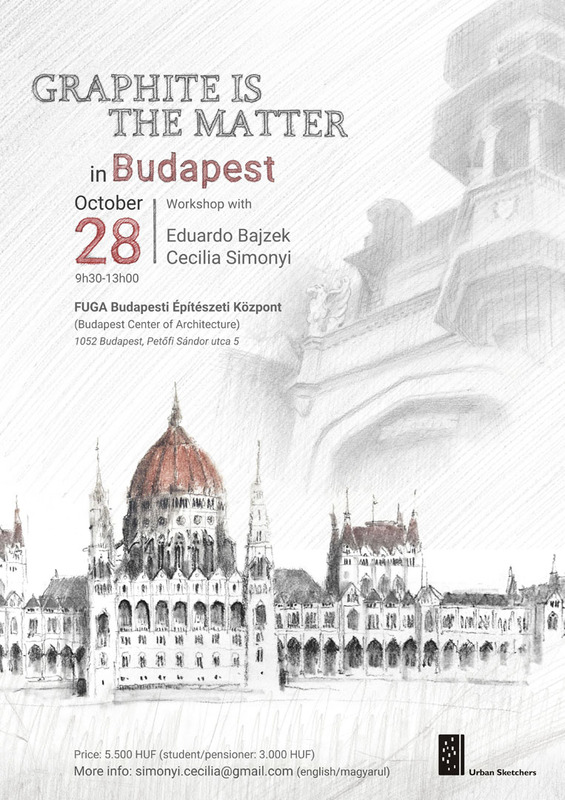 The workshop 'Graphite is the Matter' will be in Budapest, 3 months after the 9th Urban Sketchers Symposium. Back at the symposium, which took place in Porto / Portugal, I led three sessions of this workshop and I was happy to heard some very good feedback about it. I continue to be excited about how interesting and promising this approach to urban sketching is. The idea of focusing more on the mass of forms rather than its contours and to build the drawings through values has been fascinated me since 2012, when I led the workshop 'Straight to Colors' in the Santo Domingo symposium. Since then, I've been developing this approach and eventually choose pencil as the most appropriate technique to teach in workshops. This workshop is about a different way to see which leads to a new sketching approach, using pencil as the main tool in order to create a tonal atmospheric drawing. Blending stump: it’s a shortcut. It put the matter together and makes the drawing visually stronger. Pencil can be also very rich in terms of character. 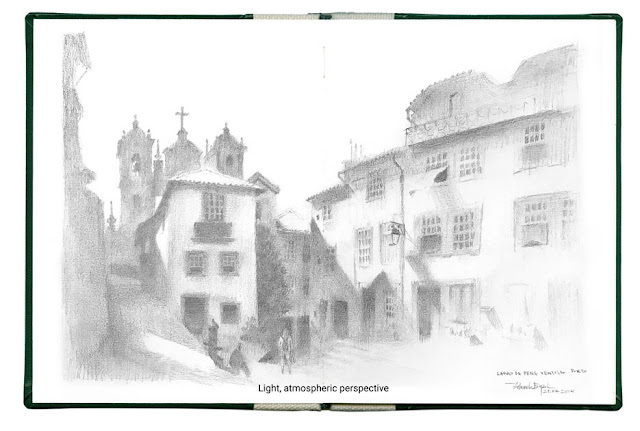 We can refine the drawing as we add more and more information on it, in layers and in increasingly smaller areas. We may achieve a nice atmospheric effect. Perhaps, a beautiful and expressive painterly style. The technique: we are using our tools to create shapes, one on top of the other. Graphite is the matter. We will use this matter to build forms. The approach: instead of contours of forms, we will focus on their mass, translate them into shapes. These shapes have angles on their boundaries. If these angles are correctly seen (there are some tricks to do that), perspective will be there. Shapes will be big, loose and open at the beginning, more compact and darker at the end. What do you get in this workshop? 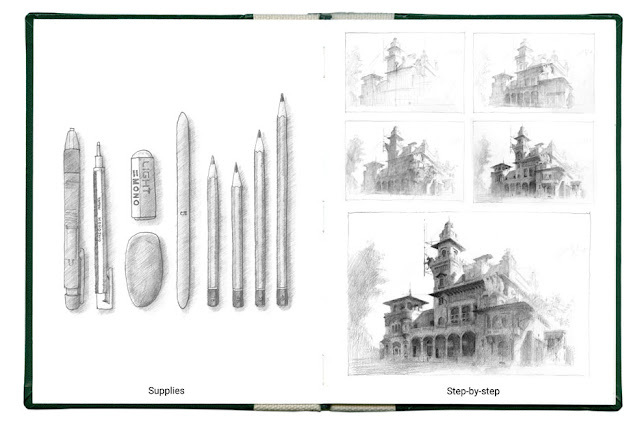 You’ll see how rich the results of pencil sketches might be. I hope that happens on your own sketchbook. If doesn’t, hopefully you will be inspired to try it again. How to add details and contrast little by little, preserving the control of the entire process. The minimum number is 5. Looking forward to sketching with you in Budapest!